Greg’s Uniforms has more to offer the professional than just uniforms. Click and Shannon will tell you how you can have Happy Feet too! 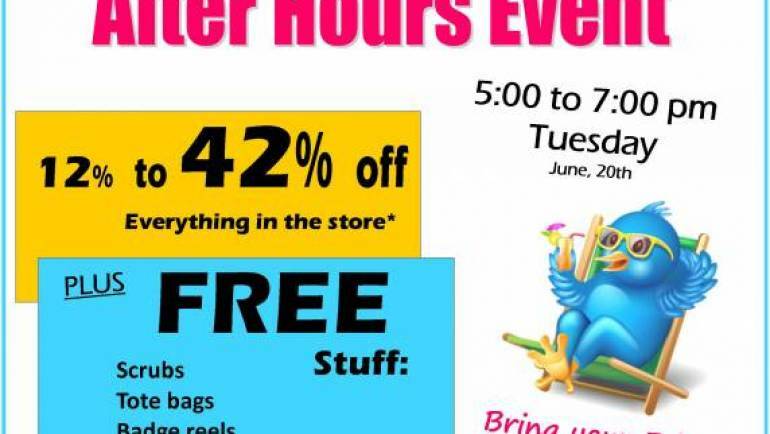 SIZZLING SUMMER AFTER HOURS EVENT! GREG’S UNIFORMS most favorite time of year…join the fun!